RideSmart is a Texas Track day motorcycle rider's school, which provides instructional assistance for a wide variety of skill levels. From the street rider up to the most experienced licensed racer and everything in between, our focus is to bring you the most comprehensive set of tools available. We aim to help you increase your riding proficiency and safety. 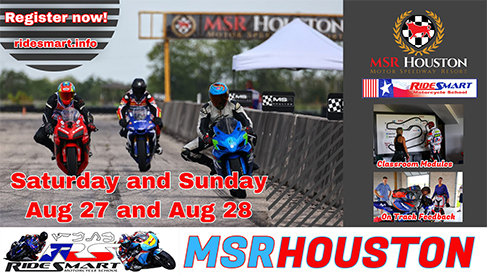 You can find one of our many Texas track day events at the following race tracks: Texas World Speedway, MSR-Houston, MSR at Cresson, Circuit of The Americas and Eagles Canyon Raceway. 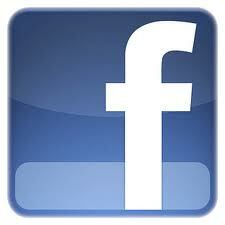 RideSmart is a school - we are not a racing organization; we do not hold races or competitions. You ride under the guidance of an instructor at your own pace. 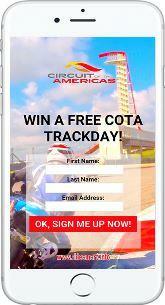 When you purchase a trackday or trackday product, we'll add you to our mailing list. If you do not want to receive informational and promotional emails from us, go here to unsubscribe. Copyright (c) Ridesmart 2007-2019 - All Rights Reserved.